Chamber Music plays an integral role in the overall education of pupils at the School. Ensembles receive regular weekly coaching, are allocated time to rehearse on their own, and participate in Masterclasses given by visiting artists and teachers. Concerts within the school, the UK and Europe provide ample opportunities for each ensemble to perform in public. Ioan Davies read Music at St John's College Cambridge and studied cello with Douglas Cameron. He was a founder member of The Fitzwilliam String Quartet and, for eighteen years toured to great critical acclaim throughout Europe, North America, the USSR and Japan. He participated in many world premieres and worked in close contact with Shostakovich in the last years of the composer’s life. He took part in recordings on the Decca label of chamber music works by Beethoven, Brahms, Borodin, Delius, Franck, Schubert, Shostakovich (the complete quartets) and Sibelius. He appeared on the last Shostakovich disc as a soloist with Elisabeth Soderstrom and Vladimir Ashkenazy. Since 1986 he has enjoyed performing the Piano Trio repertoire with The Debussy Piano Trio (Switzerland) and the Bohemia Piano Trio. He gives solo cello recitals throughout Europe and during the past thirty years has worked extensively with the pianist Jana Frenklova. Dr Davies’s contribution to the education of young gifted string players in the UK has been far reaching. As a member of the Master Panel for The Cambridge Symposiums for Young String Quartets he worked closely over a number of years with Yehudi Menuhin and Yfrah Neaman. He was Head of Strings at the Specialist Music School at Wells Cathedral School from 1994 – 2003 and, until 2008, Director of Music for Pro Corda, The National School for Young Chamber Music Players. His close association with the DCMS Music and Dance Scheme continues at the Yehudi Menuhin School where he coaches Chamber Music. 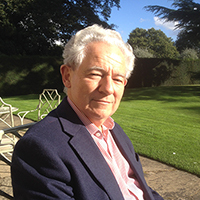 Throughout his career Dr Davies has held teaching positions at many Universities, including Oxford, Cambridge, York, and Bristol. He plays on a Jean Baptiste Vuillaume cello made in 1828.